← I was a little early, looks like 2015 will be the year of 360º Immersive Video Revolution. I had the opportunity to go and shoot a short RVO and an audio clip for our Nuacht bulletin. It was a favour so I used my own camera and edited on my iPad using Pinnacle for iPad. What surprised me the most was the speed in which I was able to ingest, edit, compress and FTP using the iPad. There is a lot of talk about small devices for shooting mojo and attachments for smart phones and lenses but if the post production method is not fast, the footage can languish unused on the camera device. I was using my trusty “boot and shoot” entry level DSLR Sony A37 and shooting mpeg4 HD 1440 1020. I shot around 12 minutes of footage that took up around 2.8 GB of space on the memory card. I had purchased an Apple usb lightning connector which enables very simple connection straight to the camera. I have had problems in the past with unsupported iPad connectors that would not be recognized by the iPad but when you purchase from the Apple shop those problems disappear. Now for the interesting part. 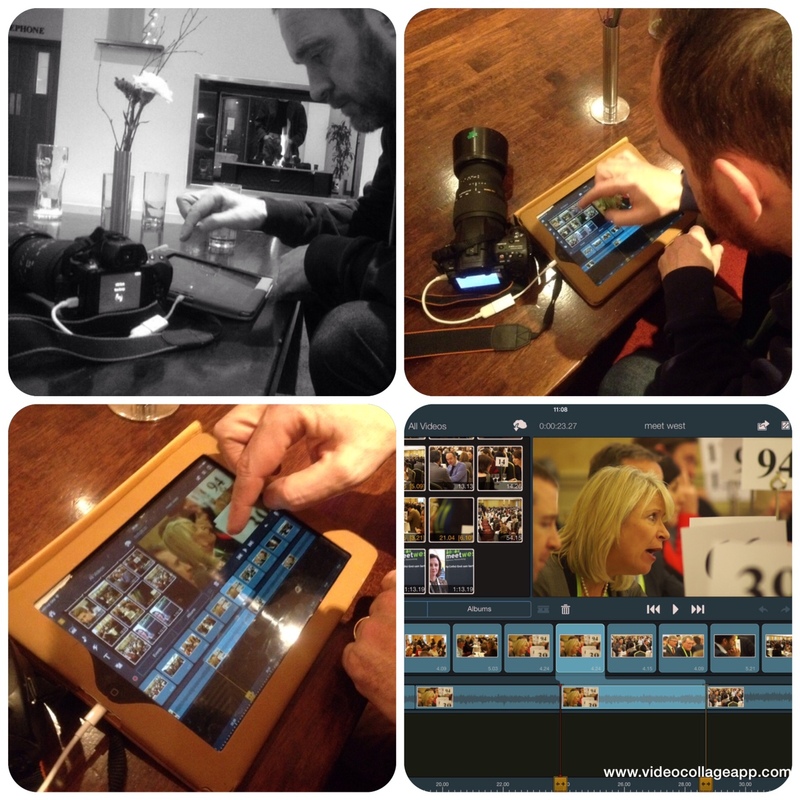 The 12 minutes of footage copied onto the iPad from my camera in around 1 minute. I was now ready to edit. Pinnacle studio for iPad is very simple and user friendly. It is an app the does exactly what is says on the tin. I edited a one minute RVO in approx 5 minutes, this could of been a lot faster if required. The size of the iPad is also very comfortable for carrying around and the battery life is perfect for ENG field editing. The export from pinnacle again took only 1 minute. I then used a free compressor app that turned my 150 MB file into a 40 MB file in less than a minute and now I was ready to FTP. In total the duration for capture, editing and exporting the file was now less than ten minutes. This is the marvel of using this method. In news gathering time is everything, the quick turn around of ready to broadcast media is critical and this form of ENG news edit delivered. This type of turn around is second to none. The iPad and pinnacle for iPad are a force to be recognized. The alternative is a very expensive and powerful laptop running FCP or Avid media composer. Hardware and software costs for these are greatly more expensive than the iPad option. Also the learning curve required for using these methods are steep and the variety of formats and compression settings can be a mine field. I can imagine in the future that the decision on what camera should be used for VJs and Mojos will be decided more on the ability for them to shoot mpeg4 for quick access and ingest to the ipad. In all my years I do not think that I have ever used a method of edit that was as fast, as reliable and as robust. This truly was a revelation for me. Production supervisor for Nuacht RTE. Ivor, what compression software did you use prior to FTP to get it down to 40Mb?